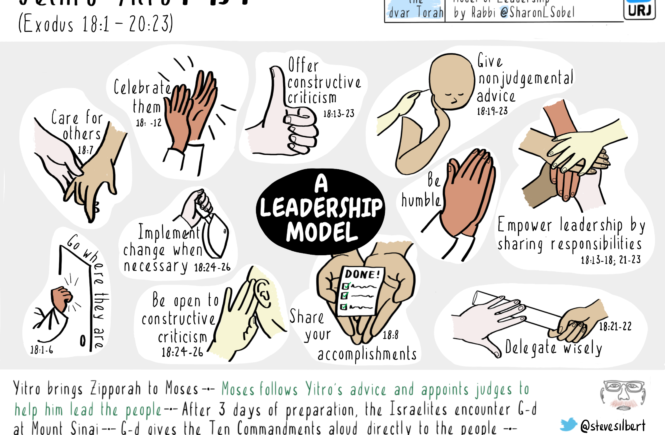 “The Torah portion for this week, Yitro, teaches us that we must look beyond the superficial qualities when it comes to choosing a good leader. It helps us understand that there are certain criteria for leadership that transcend political, ethnic, and socioeconomic boundaries.” Thus begins a dvar Torah on parsha Yitro by Rabbi Sharon L. Sobol. Yitro (Jethro) is the father-in-law of Moses and a Midianite priest. A seasoned leader, he makes a great mentor an coach for Moses. 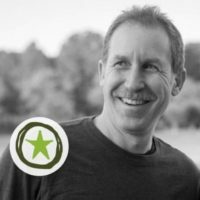 He is willing to share his experiences and knowledge without judging Moses for his lack of experience. Though inexperienced, Moses shows leadership qualities. He is a reluctant leader who does not let his ego get in the way of making good decisions. He listens and learns from those around him and doesn’t hesitate when Yitro suggests that he appoint judges to help him with the responsibilities of leading his people. Exodus chapter 18, Rabbi Sobol point out, is in effect a training manual for leadership development. 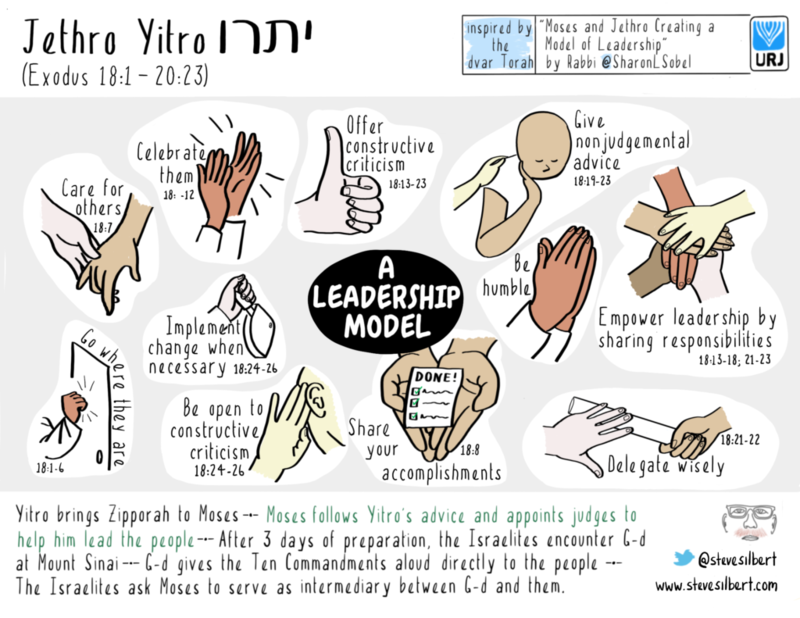 Parsha Yitro is a reminder that when we choose leaders we must do more than assess their stances on political issues; we must assess their character and ascertain whether they have the traits needed to work with others and be of service to all people.